In 1994, I sold my restaurant, Foodsmith, and spent the next 18 months recovering my health and playing with my sons. When I felt human again, I looked at the mountain of recipes I had created in the process of changing the restaurant’s menu every day. When the publisher of Whitecap Books came to Calgary and asked Gail Norton at The Cookbook Co. Cooks who in the city seemed a likely candidate to write a cookbook, Gail dropped my name into the conversation like a hot Italian pastry. Elaine Jones, the long-suffering editor at Whitecap Books who taught me my manners as a writer, had endless patience with my wonky recipe formats, passive voice, offbeat stories and poetic flights of fancy in describing appaloosa beans or Irish biscuits. I owe her a stack of cookies and an endless cup of espresso. 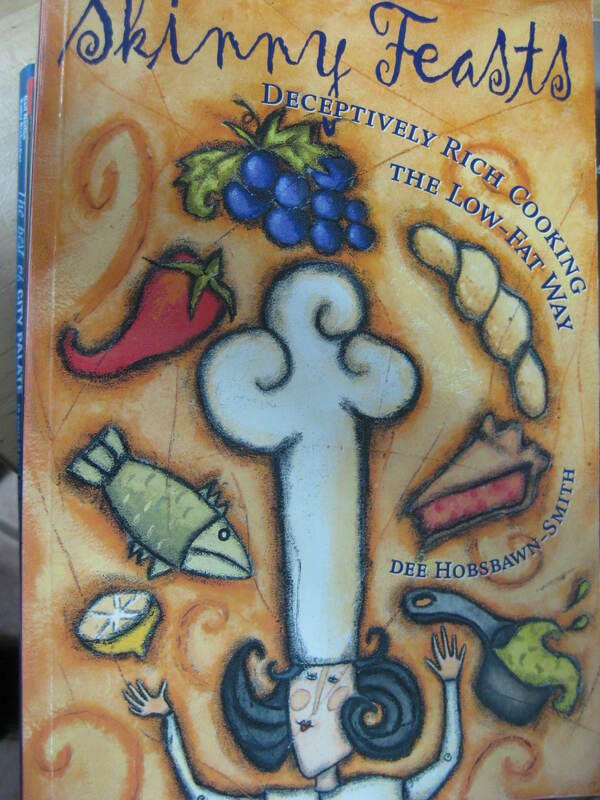 Skinny Feasts was published in 1997.